Something munchy, something crunchy, something juicy, something sweet. Nothing gooey, nothing drippy, nothing sticky, nothing soggy. It might be corny, but it's true. There's nothing worse than a big spot on the front of your shirt as arrive at your destination. As you know, we've undergone some big dietary changes around our house. Gary's doing great, and has become the salad king. 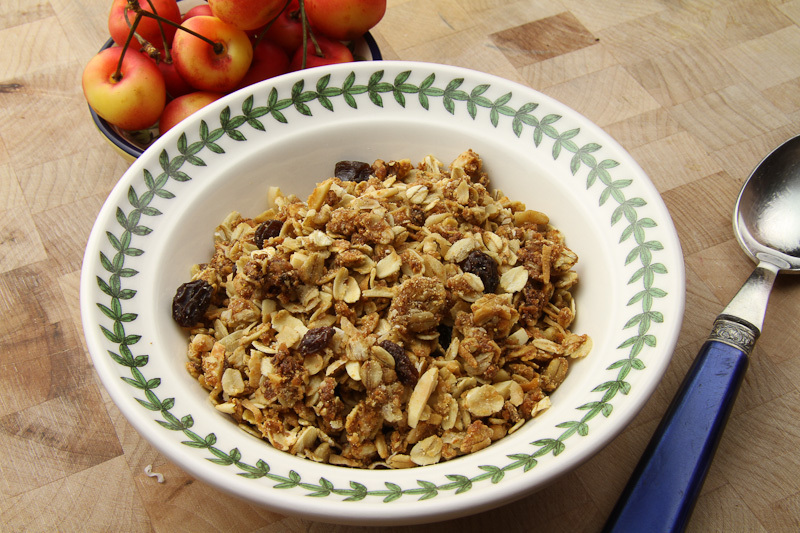 In a never-ending effort to find good food and keep control of the fat and sugar we were looking for a healthy granola recipe. This recipe comes from our friend who's been making it for a long time. She's tweaked the original in volume and fat. I ran the nutritional data on the recipe, and 1/4 cup (about 30 gm) is about 120 calories and about 20gm of carbohydrate. Perfect for topping some yogurt or nibbling with the piece of fruit. 1/2 cup Raisins or Craisins. Preheat oven to 225 degrees F. Mix dry ingredients together (except raisins). In a separate bowl, whisk wet ingredients together. Pour wet over dry and mix. Spread on a jelly roll pan or in a 13 x 9 pan. Sprinkle with about 2 T water. Bake for 45 minutes, stirring twice during baking. If you'd like it dryer or crunchier, increase oven to 300 degrees and bake for another 20 minutes or until more golden. Turn off the oven, and allow the granola to cool. 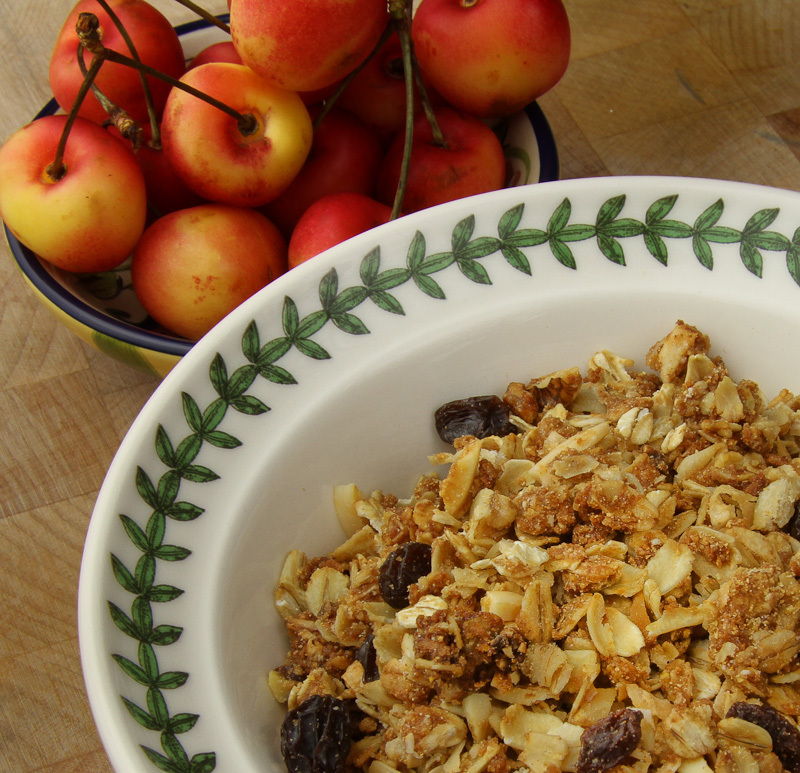 The granola can be removed from the oven right away, but won't be a crunchy. When it's cool, add the raisins or craisins as desired. Store in an airtight container. I hope you enjoy this as much as we have. Happy summer and happy travels!